From exploring the rainforests of Ecuador and culture in Siberia, to discovering some of the most luxurious five star hotels in the world, theÂ Travel Channel has added several new series to its TV and digital networks. 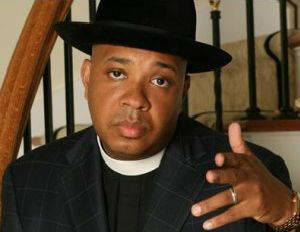 Travel Channel viewers can expect a diverse mix of casts and shows including,“Rev Runs Around the Worldâ€ featuring Rev. Run, legendary member of the rap group Run DMC, and “Night Crawl New York with Jawn Murray,”Â an entertainment journalist and pop culture expert. The descriptions below compiled by the Travel Channel, includes a few shows to add to your line up. Night Crawl New York with Jawn Murray – The five-episode series focuses on New York nightlife venues and premiered this week on the network’s digital platformÂ TravelChannel.com. “Having covered pop culture for years, I’m always trying to discover places where the cool, hip crowd would lounge; as well as venues that have celebrity appeal. The five venues we used to kick off ‘Night Crawl New York’ embody just that,â€ said Murray. 50/50 – An action-packed show that starts with two Travel Channel hosts, unsuspecting people on the street and a simpleÂ premise: Would you like an extreme getaway for 50 hours, worth $50,000 dollars? Can you leave immediately? Travel Channel expert Samantha Brown and her adventurous pal Chris Grundy are heading to a town near you and they’re doing the asking. If you say “yes,” it’s wheels up on an unforgettable two-day getaway worth $50,000 dollars — and you’ll get to choose where you go, what you do, what you eat and when you sleep. But there’s one catch — you must drop everything and leave right now. Boy to Man – Adventurer andÂ filmmaker Tim Noonan embarks on a soloÂ journeyÂ of self-discovery to worlds beyond his imagination to try and unlock the mysteries of what it means to be the ultimate man. With just his gear and cameras, Noonan first has to earn the tribe’s trust.Â Over the next few weeks,Â he is put through rituals, initiations and grueling tests to man-up and prove himself worthy of theirÂ respect. Throughout the series, Noonan travels the world, stopping in places such asÂ Siberia to join the reindeer people, the Nenets, goes nativeÂ learning how to climb coconut treesÂ in Guinea Bissau andÂ trainsÂ aÂ golden eagle with Kazakh men in Mongolia. Five Star Secrets – Features host Anthony Melchiorri as he sets out toÂ experience the hospitality industry’s most luxurious and amazing five star hotels. When Melchiorri checks into these well-run,Â high-end hotels, he interacts with staff, uses the property’s amazing amenities, asks questions and makes special requests. Melchiorri also gives great insider take-away information, as he goes behind the scenes at the hotels. At the end of each episode, Melchiorri identifies one hotel employee who displays above-and-beyond customer service, and he surprises him/her with a very generous $5,000Â tip. Follow Your Past – A series that follows average Americans on a journey to breathtaking locations as they uncover their very personal connection to history’s most extraordinary events. In each episode, acclaimed journalist and author Alison Stewart takes individuals around the world from one incredible location to another, giving each person a chance to literally walk in their ancestors’ footsteps. Each step of the way, they learn important clues about their family’s contribution to world history.Â By journey’s end, their famous ancestor is revealed, and the historical impact of that person’s life will come into clear and striking focus. Hello Goodbye – Captures some of life’s most precious moments as regular, everyday people arrive and depart from two of America’s largest airports, Dallas-Fort Worth and Chicago O’Hare. The show highlights heart-warming — and sometimes heart-wrenching — stories of love, sorrow, betrayal and friendship from travelers of all walks of life and cultures. Â Viewers join host Curt Menefee (“Fox NFL Sundayâ€) as he strolls through terminals talking to travelers, discovering the surprising stories behind each arrival and departure. Each story reveals the raw emotions and unbelievable moments that take place every day between families and loved ones in airports across the country. Rev Runs Around the World – Features Rev Run, a world-famous rapper (Run DMC), style icon (Adidas) and television star (“Rev Run’s Renovation,â€ “Rev Run’s Sunday Suppersâ€Â andÂ “Run’s Houseâ€). After spending years travelling the world with band mates and friends, Rev Run is embarking on his next travel adventure – but this time with his wife, Justine, and their not-yet-out-of-the-house kids, Russy and Miley.Â Equipped with four round-the-world airline tickets,Â Rev and family will be stretched to their limits as they brave exotic territories,Â fascinating cultures, authentic food and much more. Relocated – A life-changing job worth leaving behind everything you know to live abroad in a strange new city thousands of miles away? Each episode features the story of a family faced with relocating to a foreign city from their current home.Â They hop a jet and travel to their prospective new city where they meet up with a relocation expert. Â These insightful relocators must tailor a three-day tour to their client’s specific needs and lifestyle. At the end, the families have to reveal their choice — stay or go. An Idiot Abroad – Features Brit Karl Pilkington, who has led a sheltered life. Not having done any traveling, he enjoys living within the comforts of what he knows. As such, his friends, Ricky Gervais and Stephen Merchant, co-creators of “The Officeâ€ and “Extras,â€ decide to send Pilkington to various parts of the world to experience unfamiliar cultures. Wild Things with Dominic Monaghan – An exhilarating travel-adventure series that follows actor and wildlife enthusiast, Dominic Monaghan, as he explores the remote corners of the globe in search of some of the most extraordinaryÂ animals in the world. From the rainforests of Ecuador, to the caves of Venezuela and the arid deserts of Namibia, each episode gives viewers an up close and personal encounter with some of the most dangerous and elusive creatures known to man.